A charming V8 can't overshadow a lousy interior. 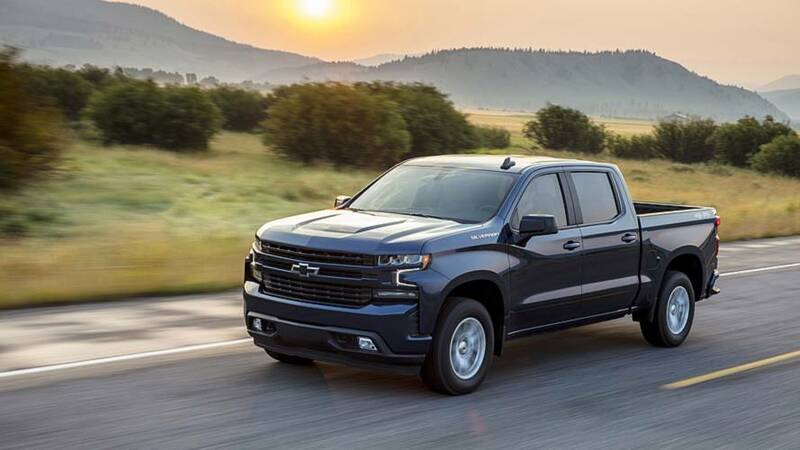 The 2019 Chevrolet Silverado has seen mixed success since its introduction earlier this year. Our first drive, written by yours truly, was lukewarm at best. 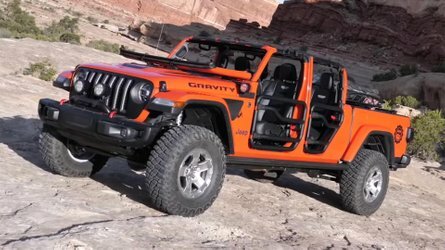 And when my colleague Jeff Perez got behind the wheel of a Trail Boss model down in Miami, well, that lukewarm tone cooled off considerably. Poor Jeff is still getting angry emails from Chevy fans after the Bowtie's bread-and-butter truck earned the second lowest truck score we've ever handed out. Being the good guy that I am, I'm going to take some heat off Jeff and explain precisely where the Silverado goes wrong. 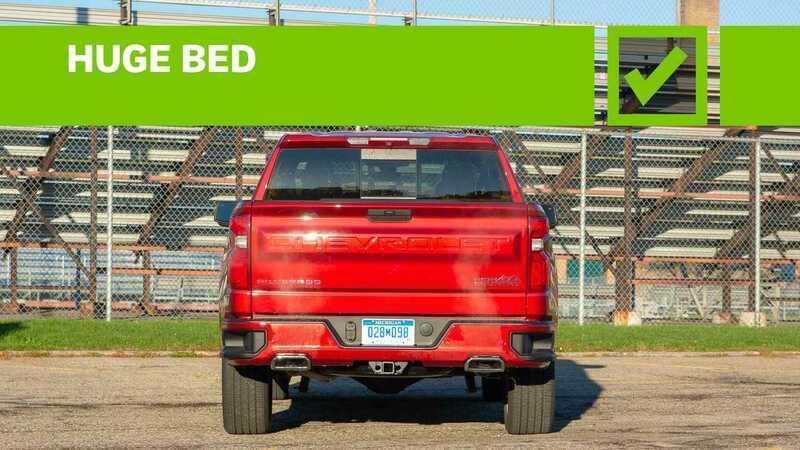 There are certainly things to like on this truck, but it also has one big, fundamental flaw that simply doesn't afflict its rivals from Ford and Ram (and two others that do). 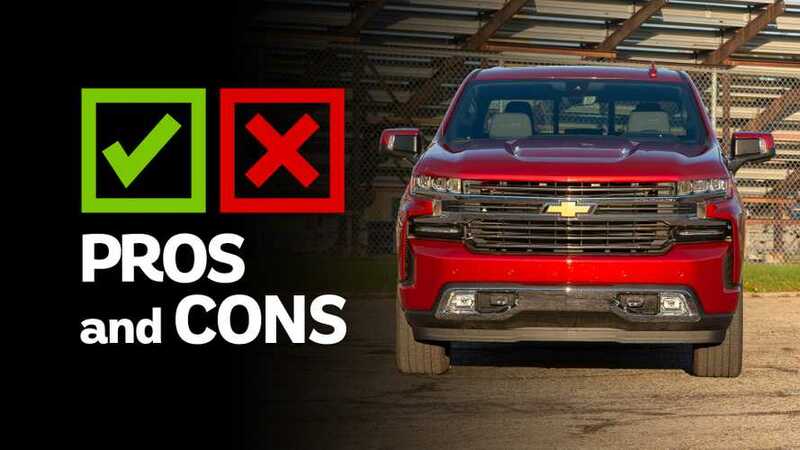 And until Chevrolet can correct these glaring faults, the Silverado will continue to be our least favorite American half-ton. While Jeff rightly dragged on the style of his Silverado Trail Boss, the aesthetics of the range-topping High Country aren’t nearly as offensive. The lower ride height, thinner side walls that come with the optional 22-inch wheels, and ample chrome creates less visual weight. Where the Trail Boss’s blacked-out grille gives the truck a nose-heavy look, the High Country benefits from the right balance of chrome and plastic trim. The air-curtain-like “blades” on the lower outboard portion of the front fascia are neat, too. Around the sides, it's hard to overstate how much the 275/50/22 tires and the standard ride height help the Silverado's look. The balance in the three-box shape – engine bay, cab, and bed – is far more pleasant on this trim and in this configuration. 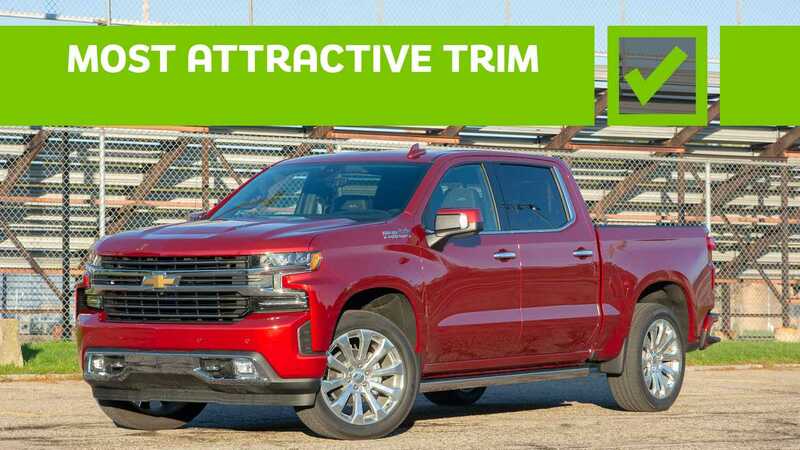 While it’s sometimes challenging to conjure praise for the Silverado's exterior, there's no such problem saying nice things about its powertrain. The 6.2-liter V8 – a $2,495 option on the High Country – is a sledgehammer of an engine. Packing 420 horsepower and 460 pound-feet of torque, it's inarguably my favorite truck engine on the market. 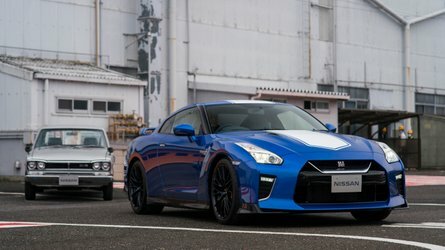 Willing to rev, never short of power, and offering a fantastic soundtrack, it's a willing partner whether commuting or towing. That it's smart enough to shut down its cylinders independently – it can literally run on one cylinder if the conditions are right – via the new Dynamic Fuel Management system is cool. 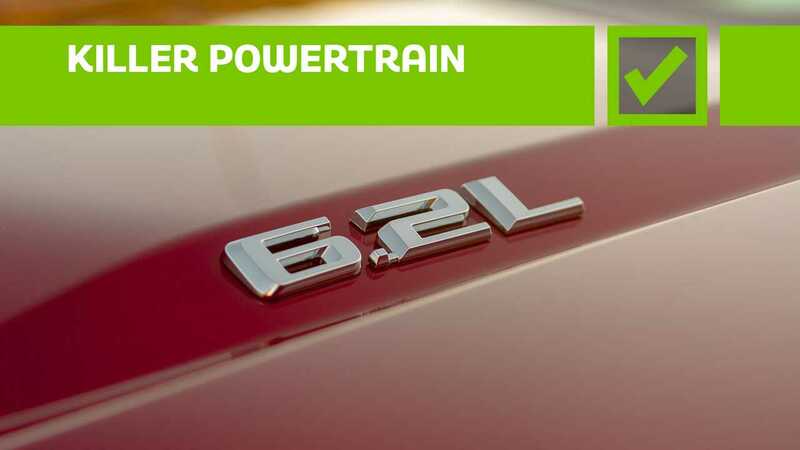 But it's the fact this tech is invisible from behind the wheel, with no lag or histrionics to interrupt the available power, that really stands out. Or not stand out… technically. 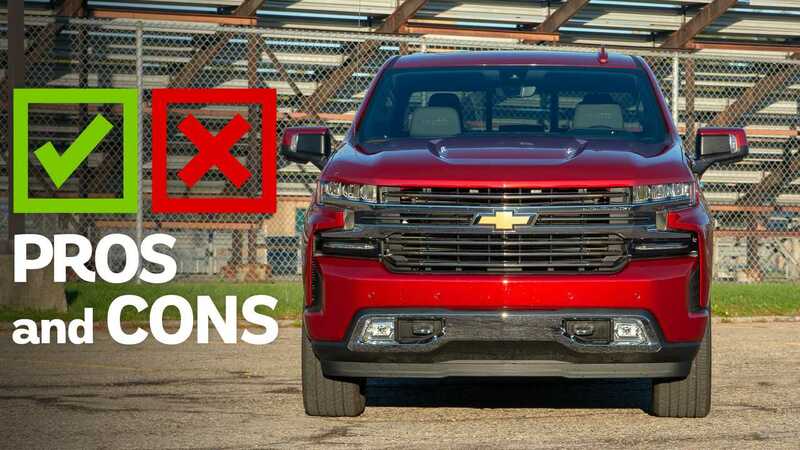 The 6.2-liter V8 is the only way to get a 10-speed automatic in the Silverado, and is yet another reason to spend $2,500 on the bigger V8 (the 5.3-liter V8 gets an eight-speed auto that’s fine enough). This gearbox is a gem, just as it is in the Camaro, GM's full-sized SUVs, and in the rival Ford F-150 line (although not so much in the Mustang). The new Silverado lacks the trick MultiPro tailgate of its sibling, the GMC Sierra, but that's okay. It still possesses an enormous bed thanks to some smart design decisions on the part of Chevy. The Standard Box in my test truck has a whopping 72 cubic feet of space, 10 more cubes than its chief rivals, the Ford F-150 and Ram 1500. Much of this space comes by stretching the bed width as much as possible. It's deceptively large. The available powered tailgate is a neat touch, too, although I felt a bit silly using it. I've never really found raising and lowering a tailgate to be the kind of thing that requires an electric motor’s assistance, although I appreciate that's not true for every Silverado driver. 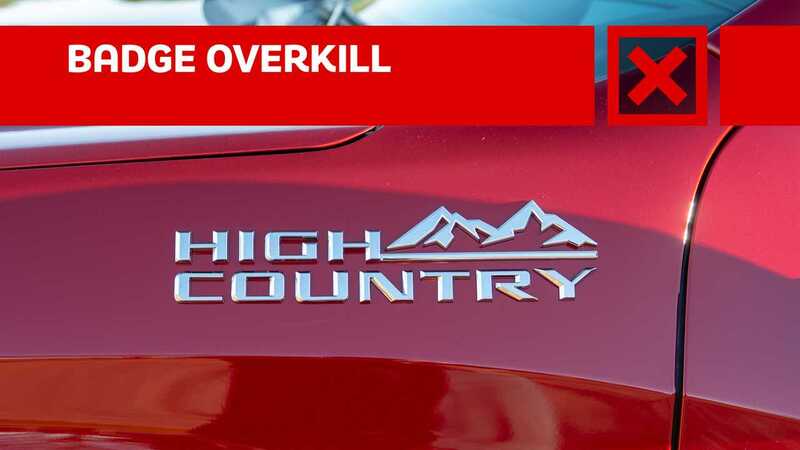 This is the High Country's most unforgivable issue, and it’s one made all the worse by the previous con. 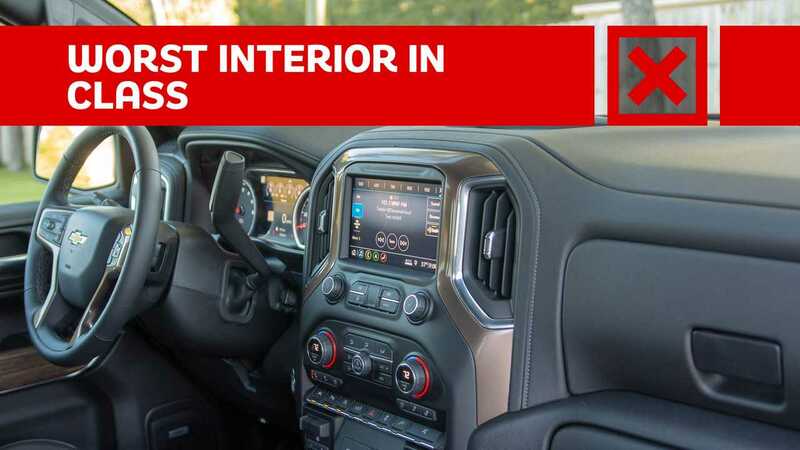 There is virtually nothing about the interior of this $66,000 truck that feels worthy of its price tag. There's a little bit more leather and some more chrome, but when you climb behind the wheel for the first time, your first impression will be that this is a $35,000 truck. Contrast that with Ram – the aforementioned 1500 Longhorn I was driving made me audibly gasp the first time I climbed behind the wheel. Both Ford and Ram seem to understand that taking differentiation up to 11 is what will get customers to buy high-end trucks. Tiny, intricate detailing and beautiful stitching are everywhere in the Ram 1500 Longhorn, with a gorgeous contrasting leather scheme and handsome real wood trim on the dash, doors, and steering wheel. The Silverado has the same leather-wrapped wheel as a mid-range model. The black leather on the seats and dash looks identical, too. And the small bits of wood trim on the doors are laughably fake. 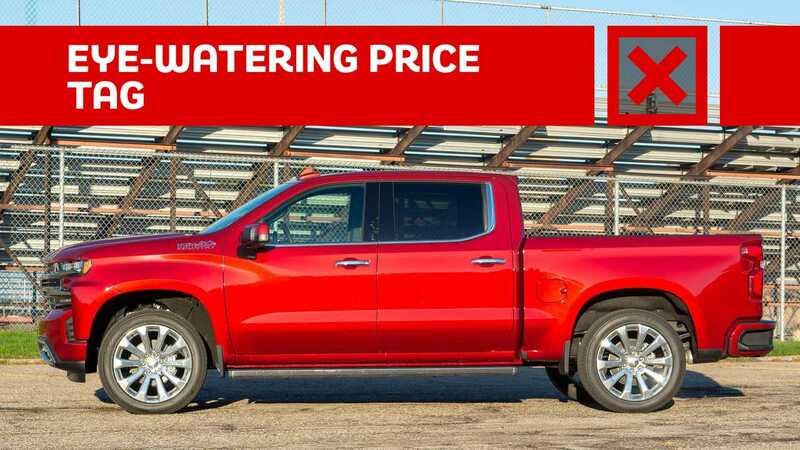 If you're considering a High Country, go have a look at the Silverado LT sitting on the other side of the dealer lot before signing on the dotted line. Instead of investing in the cabin, Chevy went all in on badging. 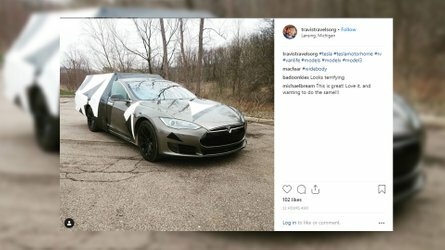 You know, because it's far more important that everyone else knows you bought an expensive truck than for you to feel like you're driving one. There is a High Country badge on ever side of the Silverado, including a pair of huge ones on the front fenders. The tailgate gets a similarly sized one, too. 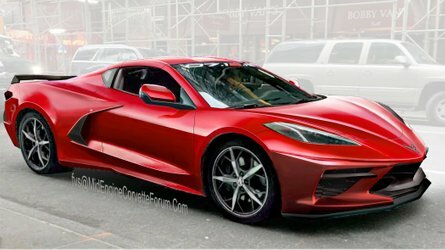 I'll commend Chevy's restraint on the front, though. There's just a small “High Country” stamping on one of the grille bars.